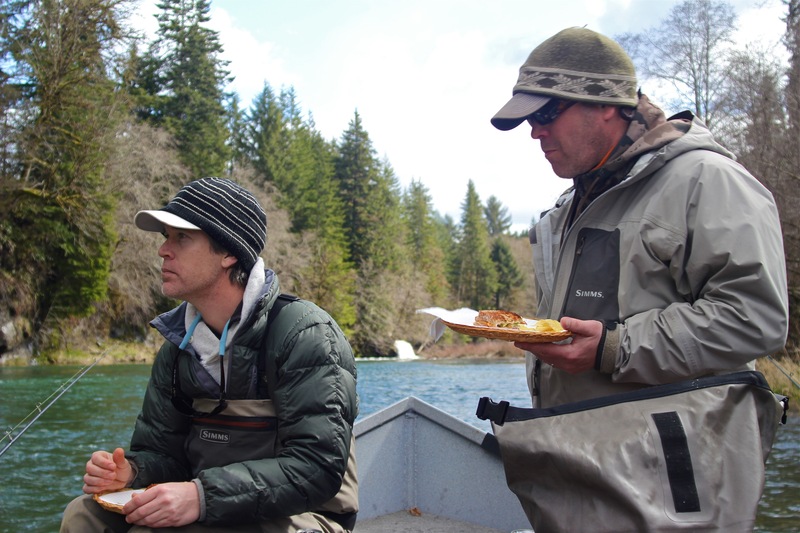 The pursuit of winter steelhead can challenge your faith: Are there any fish in the river? 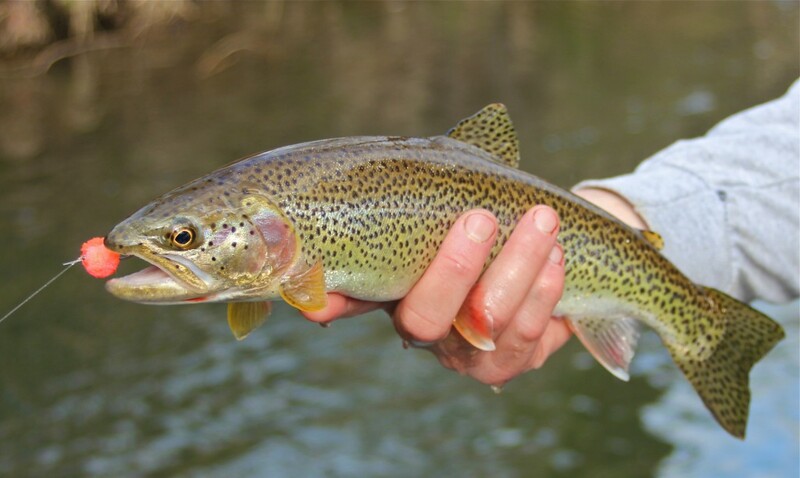 Are we fishing with the right flies? The appropriate techniques? Does it hurt our chances that we are following thirty other boats down the river? . . . (OK, actually 29). A recent weekend of fishing was a case in point. 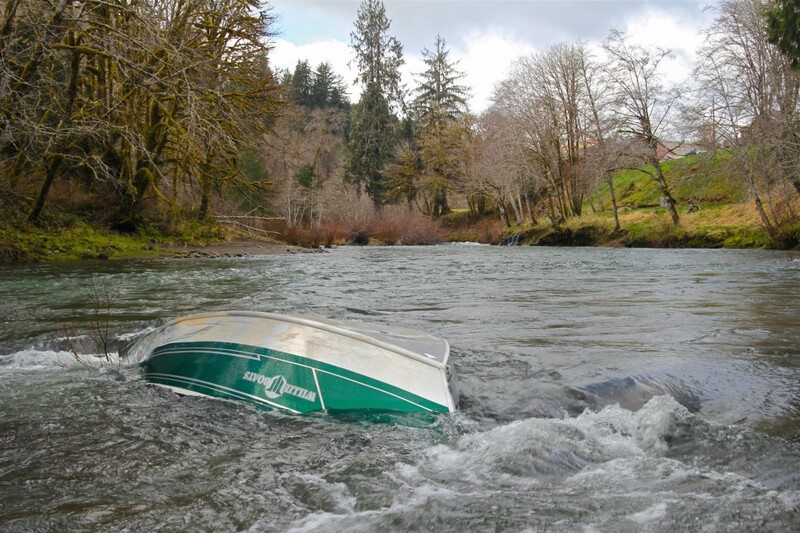 On Saturday, the Siletz looked like someone had organized a drift boat flash mob. Guys parked in the middle of the river, pitched their offerings to both banks, and then yelled at you for floating over “their water.” The river was running high from a spate of rain but dropping and green, and the bait guys were getting some fish. Marky and Jamie fished hard and convincingly. We got to witness 3 fish landed in others’ boats while enjoying a complete skunking on flies. Day two, we met later in the morning and dug in our heels early in the day. By lunchtime, the last of the boats floated by, and we had the river to ourselves for an afternoon of pleasant spring weather and emerald steelhead water. But the steelhead remained elusive. Marky had a hookup on a backtrolled plug, but we never saw it before it came unbuttoned. Jamie landed a sea-run cutthroat. We had a nice lunch. Seven hours into our second day (15 hours of fishing into the trip), and the steelhead still eluded us. Jamie suggested we might as well be fishing for unicorns, as we’d probably have as much chance of success. But faith in the river and the method will always be rewarded eventually, right? 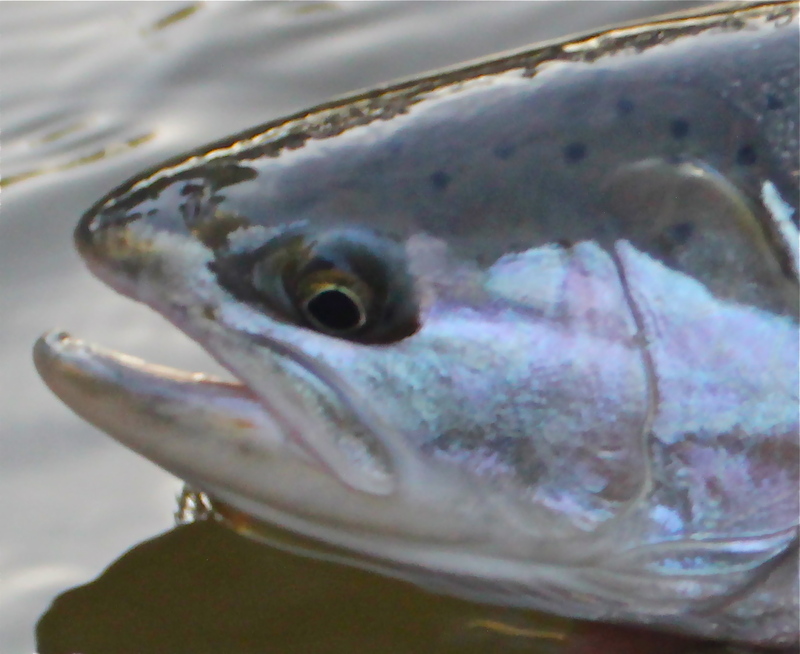 In a way, the lack of success that often characterizes steelheading is what makes it so special. The dues paid distinguish true steelheaders from the average angler. And when your faith is strong, every day is worth it as long as there is a chance, a hope for success. Did Jamie really land a perfect chrome-bright wild hen in the last hour of the weekend adventure? Do unicorns exist? See for yourself. The truth is out there.